Founded in September 2001, Hanson’s Auto Repair’s commitment to providing quality workmanship and excellent customer service has allowed our company to continually grow. In order to improve our service capability and better serve our customers' needs, we have expanded our shop and maintain up-to-date equipment using the latest technologies. We are a small business that is family-owned and operated. We employ Red Seal Certified technicians with several years of experience in the automotive industry. We also employ apprentice technicians. We hire casual labour as needed to cover our clients’ additional auto repair and service requirements. Our success to date in the automotive industry is a testament to our commitment to customer service. 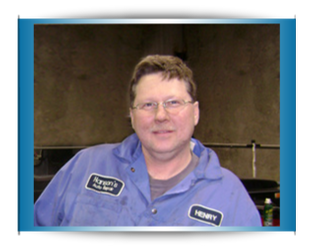 All employees at Hanson’s Auto Repair work together as a team to foster an attitude of courtesy and caring. As members of the business community we adhere to a code of ethics and our pledge to you of honesty, integrity, safety, and craftsmanship. Our regular client base has been built by repeat business from satisfied customers. We offer a preventive-maintenance plan that notifies our clients of the services their vehicles will require based on previous repair dates, mileage, and projected annual maintenance. At various times, such as an anniversary date, we offer special coupons for additional savings. We network with local business by attending and participating in industry mixers and functions and community events. We love what we do, and we look forward to many great years of continued success in the auto repair business. We have future plans for business growth in terms of equipment to better serve our customers. We know, however, the importance of building a solid foundation in any business and industry, and so we feel confident that the steps we have taken to date in providing top-level, excellent service will propel us to future development. If you have any questions about our business, or if you want to schedule your auto repair service, contact Hanson’s Auto Repair today.